Showing 4 articles from March 7, 2014. According to The Seattle Times, Governor Inslee is upset at a Republican claim that a Low-Carbon Fuel Standard (LCFS), government regulation to reduce the amount of carbon in transportation fuels, would function as a tax and increase the price of gas by more than a dollar a gallon. Recently, some lawmakers have expressed concern the Governor will try to bypass the legislature and impose an LCFS using an executive order. OLYMPIA — A bill jointly requested by Attorney General Bob Ferguson and Governor Jay Inslee to increase economic protections for Washington’s military personnel and veterans passed the Legislature today with strong bipartisan support. The Governor looks forward to signing it into law as soon as it hits his desk. (Washington, D.C.) – March 4th, U.S. Senator Patty Murray released the following statement after President Obama released his 2015 federal budget proposal, which provides $50 million in funding for the Pacific Coastal Salmon Recovery Fund (PCSRF), a cut of $15 million from the final 2014 funding level, and a potentially damaging blow to salmon restoration efforts in the Pacific Northwest. You are cordially invited to celebrate the treasures of Hawaiian culture on Sunday, March 30th, starting at 2 p.m. at the historic Raymond Theatre, 323 Third Street. 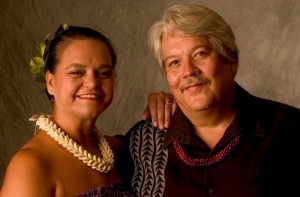 The program will feature the vocals, dance, and music of the Hawaiian Slack Key Guitar of Keola and Moana Beamer. So take a break from stress and experience the sounds of this remarkable duo.